Villa travellers in search of wholesome vegetarian and vegan fare in Samui should definitely make a stop by Radiance Restaurant. Tucked away in the Spa Resort, the restaurant is well-situated in a lovely spot, and overlooks the beautiful beach. Visitors may expect to feast on a wide variety of Thai and international dishes, ranging from spring rolls and salads, to raw food items such as Pad Thai and pizza. 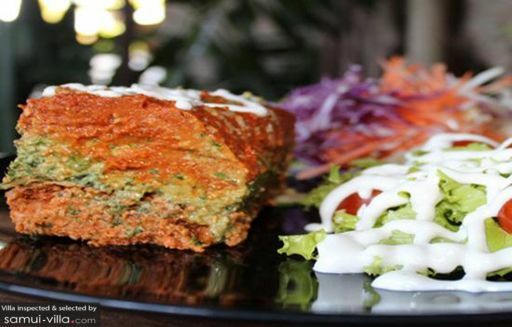 Travellers who cannot get enough of the taste of hearty and healthy items on the menu can also sign up for raw food cooking classes at the restaurant.